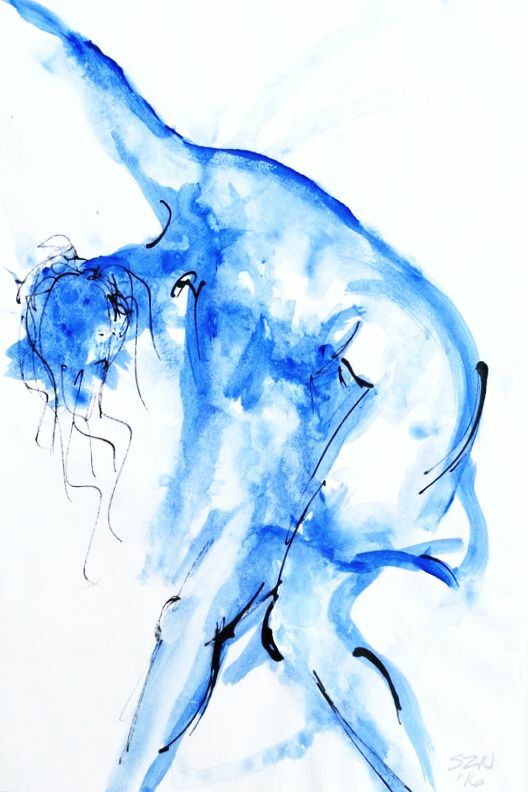 These figurative pieces are painted in acrylic on paper during a live figure model session, as they dance or move through yoga positions. 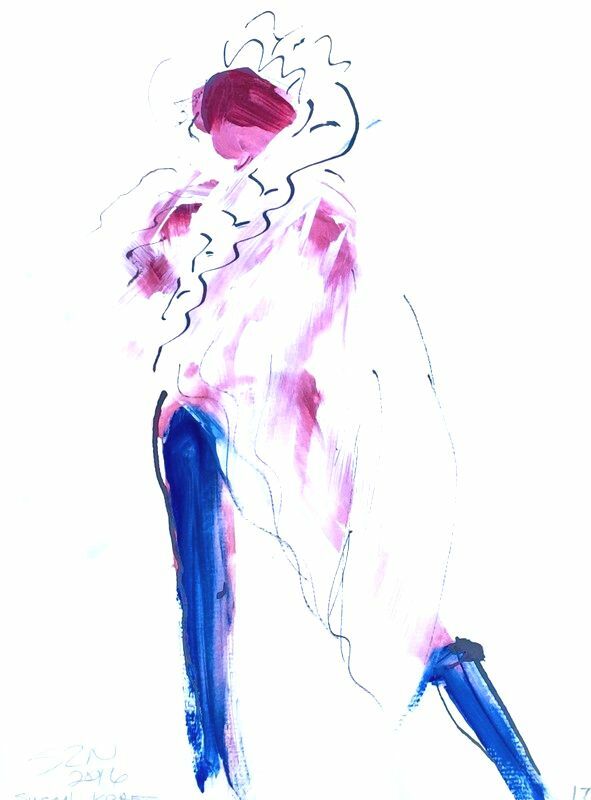 "Fashionista" Gestural figure, acrylic and ink on paper, 10x8-in. "The Universe Knows" "Bongo Beats" Gestural figure, acrylic & ink on paper, 12x8-in. "Helmet Daxe" Gestural figure, acrylic and ink on paper, 10x8-in. 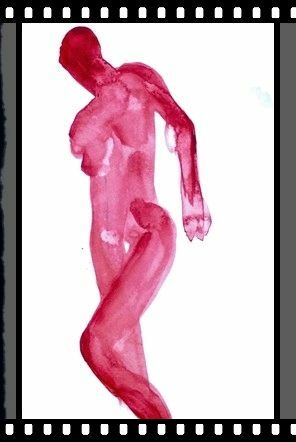 "Red Thread Runs Through Me"
"Twist and Shout" Gestural figure, acrylic & ink on paper, 10x8-in. 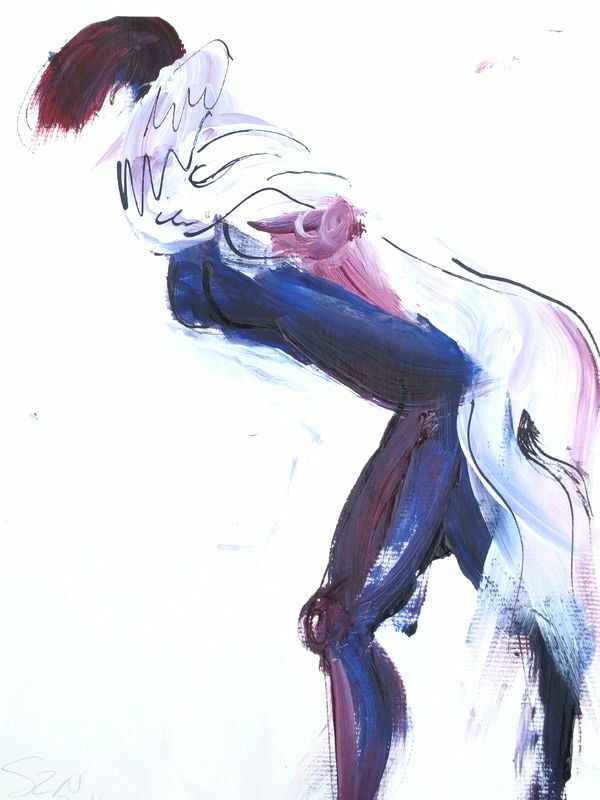 "Leg Rouge" Gestural figure, acrylic on paper, 10x8-in. 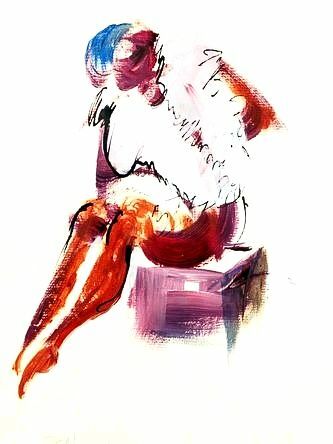 "Chickee" Gestural figure, acrylic on paper, 10x8-in. 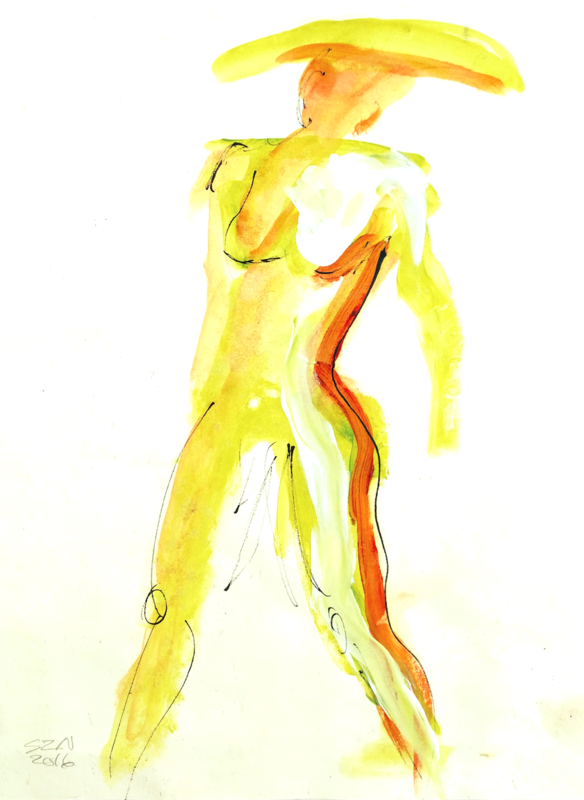 "Green Is Beautiful" Gestural figure, acrylic on paper, 10x8-in. "Man Oh Man" Gestural figure, acrylic on paper, 10x8-in. "Morning Walk" Gestural figure, acrylic on paper, 10x8-in. 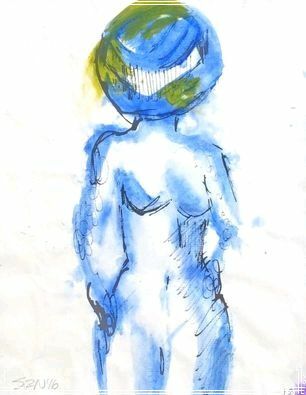 "Blue Stockings" Gestural figure, acrylic on paper, 10x8-in. 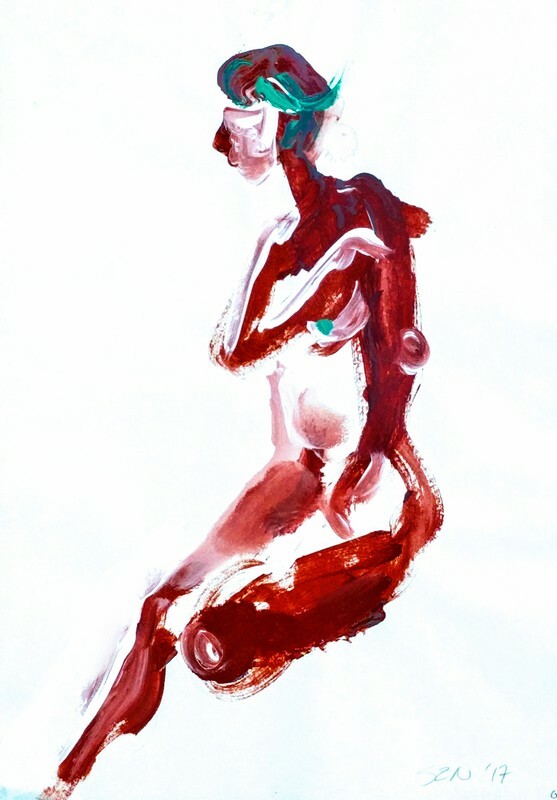 "Lady Bird" Gestural figure, acrylic on paper, 10x8-in. 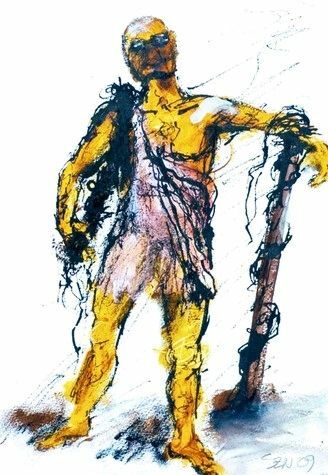 "Standing Tall" Gestural figure, acrylic on paper, 10x8-in. "Bongo Beats" Gestural figure, acrylic on canvas, 8x8-in. 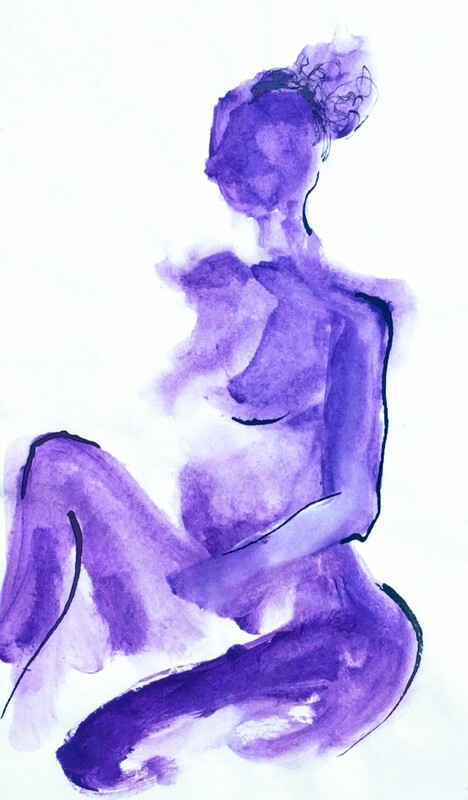 "Self Love" Gestural figure, acrylic on paper, 10x8-in. 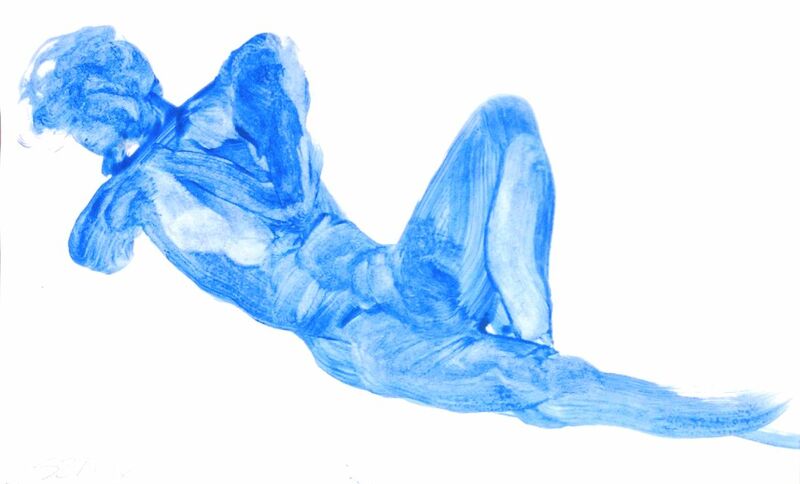 "Reclining Blue" Gestural figure, acrylic on paper, 7x10-in.